Demetrious Johnson and Eddie Alvarez will make their highly-anticipated One Championship debuts in Tokyo on March 31. Demetrious Johnson has yet to have a debut bout announced in One Championship, but he understands the lofty expectations that accompanied his high-profile signing and is facing them head-on. Despite his sudden and somewhat surprising retirement from mixed martial arts (MMA), it appears fight fans have not seen the last of former Ultimate Fighting Championship (UFC) light heavyweight title contender, Anthony Johnson. Well, so long as Jon Jones is around. 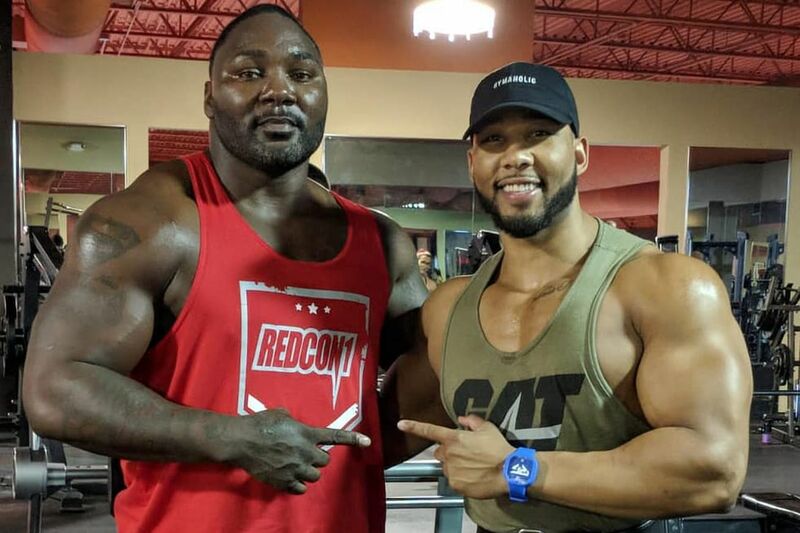 That’s according to manager Ali Abdelaziz, who is convinced “Rumble” and his newfound affinity for bodybuilding will make his Octagon comeback in a heavyweight showdown opposite Jones at some point in 2019 (or beyond). The last time Johnson (22-6) was inside the cage, he was surrendering to reigning light heavyweight champion, Daniel Cormier, at UFC 210. “DC” has been the only fighter to stop “Rumble” at 205 pounds after watching him decapitate the rest of the field. Including two-time title contender Alexander Gustafsson. Based on his big balls current physique, it’s hard to imagine Johnson as a welterweight, a place he frequently competed earlier in his career. A hasty move up to middleweight yielded little fruit, so the former World Series of Fighting (WSOF) slugger kept heading north. Next stop, 265 pounds? Prob require yet another massive weight cut! Fans were left stunned and disappointed last April when former two-time Ultimate Fighting Championship light heavyweight title contender Anthony Johnson announced his retirement from the sport after a second loss to 205-pound champion Daniel Cormier. Many folks have argued that Demetrious Johnson never received the fanfare he should have, during his historic run with the UFC, and Dana White has echoed that sentiment. As you’ve almost certainly heard by now, recently it was confirmed that Johnson’s headed to ONE Championship, in exchange for undefeated welterweight, Ben Askren. The move comes not long after Johnson’s historic reign as flyweight champ was ended by Henry Cejudo, this past August. The post Dana White Believes Demetrious Johnson Didn’t Get “The Love And The Respect” he Deserved From Fans… appeared first on Caged Insider. Demetrious Johnson has always fancied himself as a true martial artist. Michael Johnson’s gamble paid off, as he was able to earn a win against Conor McGregor training partner Artem Lobov in the UFC Fight Night 138 co-main event on Saturday in Moncton, New Brunswick, Canada.